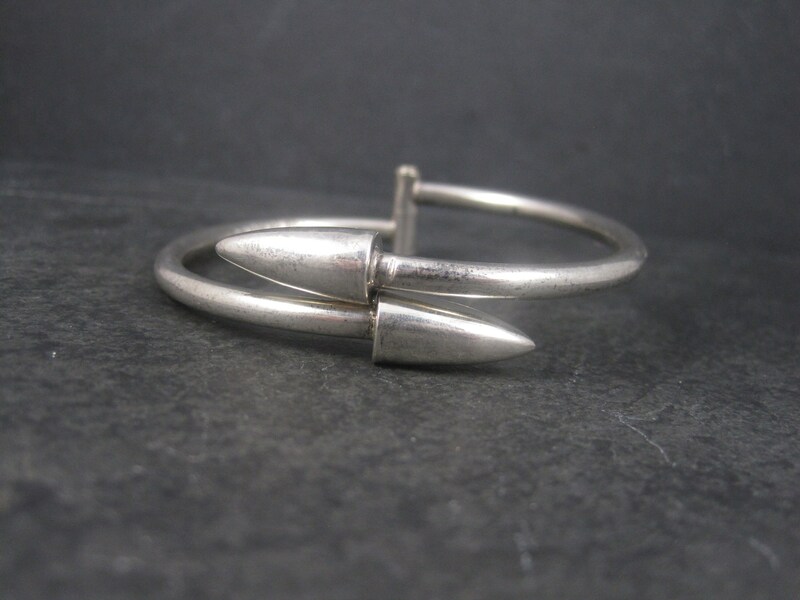 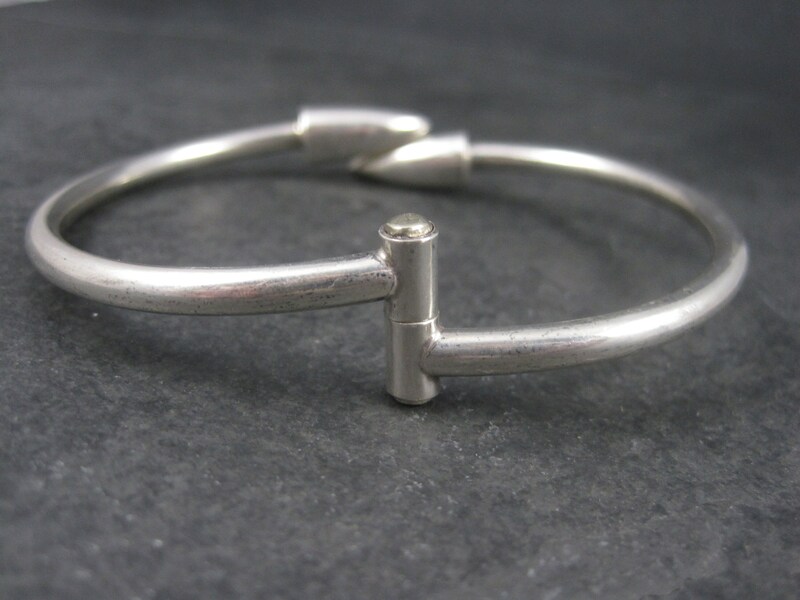 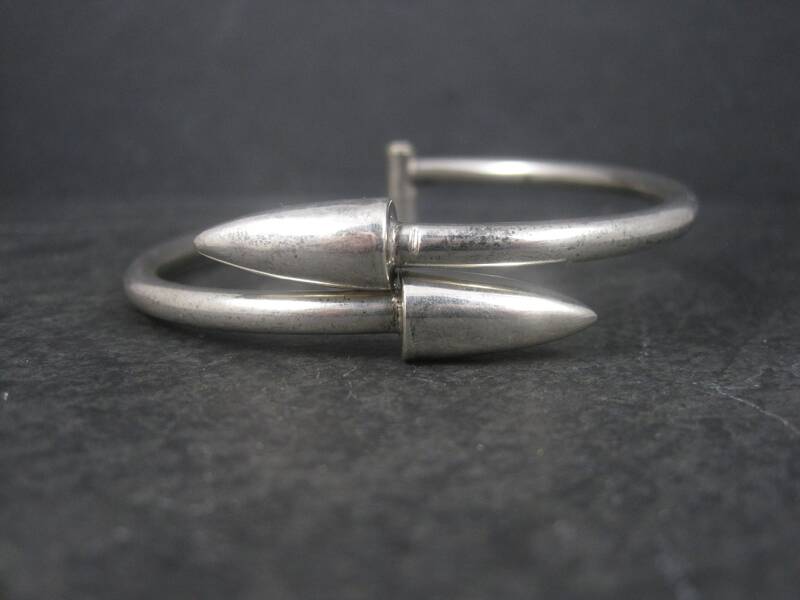 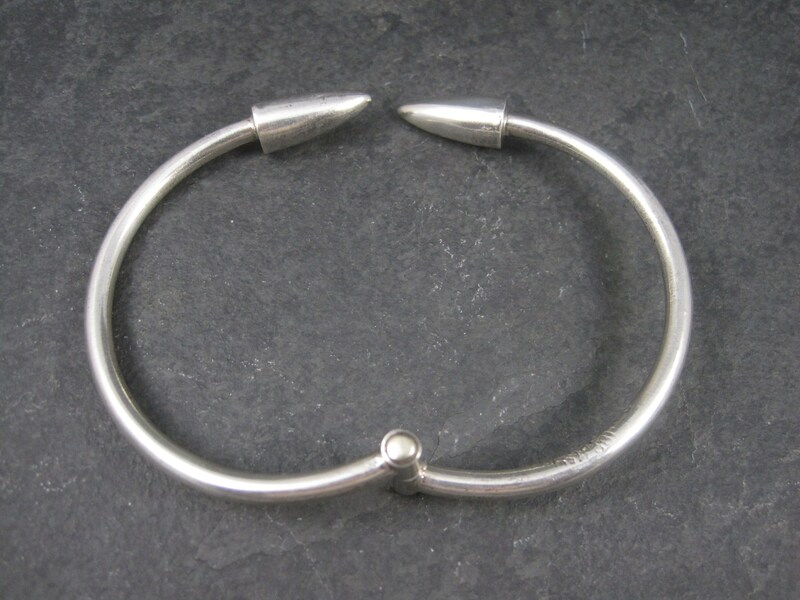 This gorgeous Mexican bypass bracelet is sterling silver. 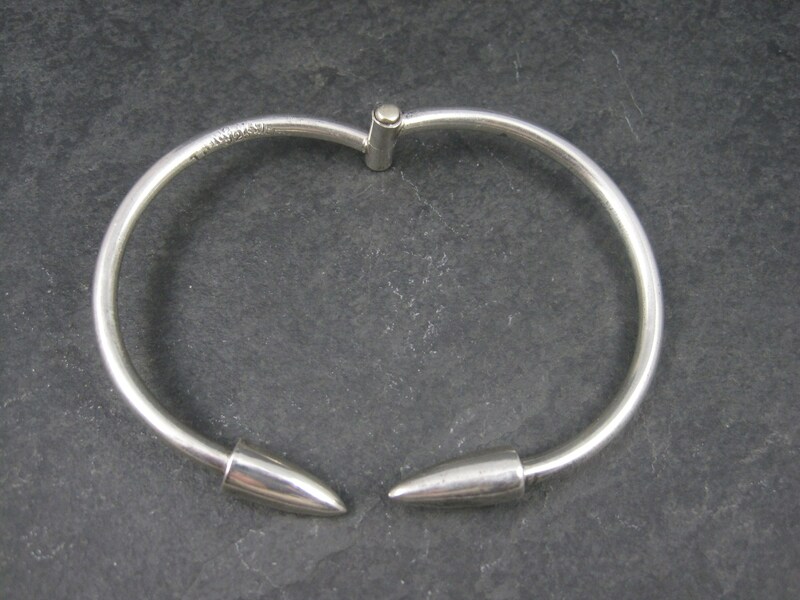 It has bullet type tips. 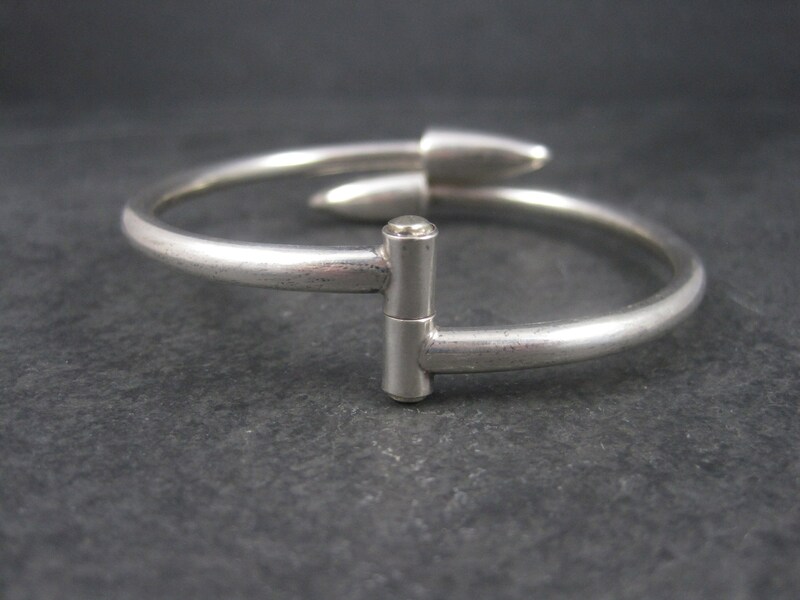 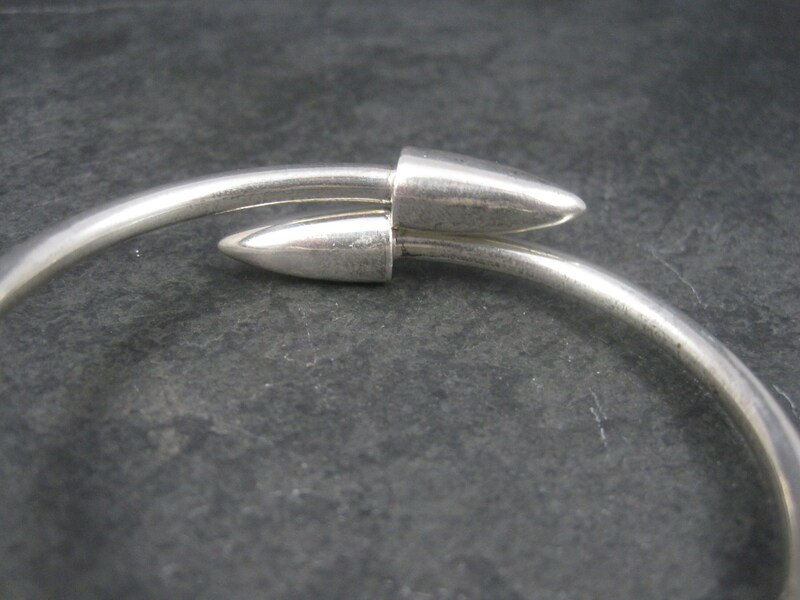 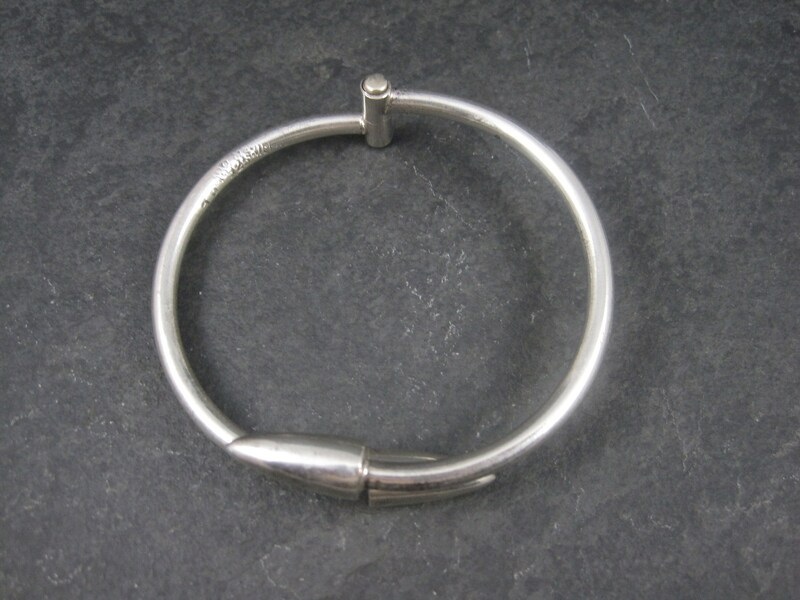 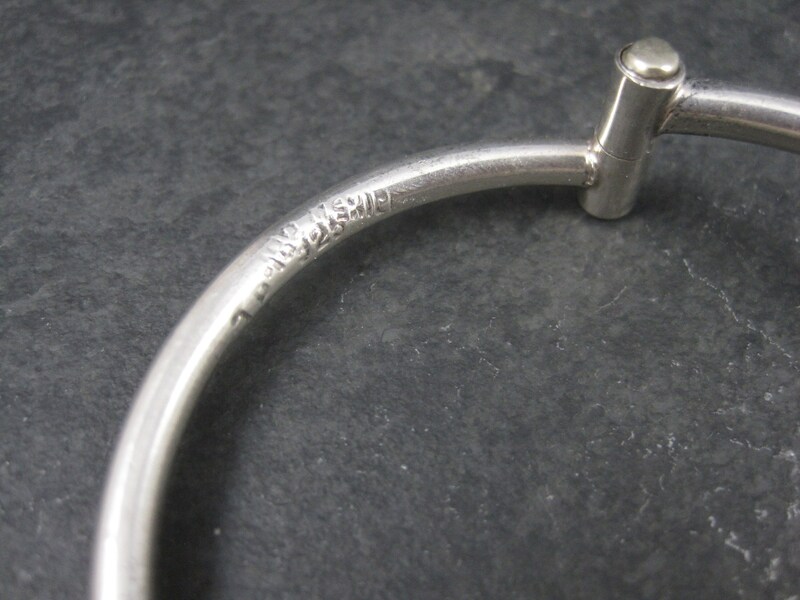 This bracelet measures 5/8 of an inch at the crossover point and tapers down to 3/16 of an inch.